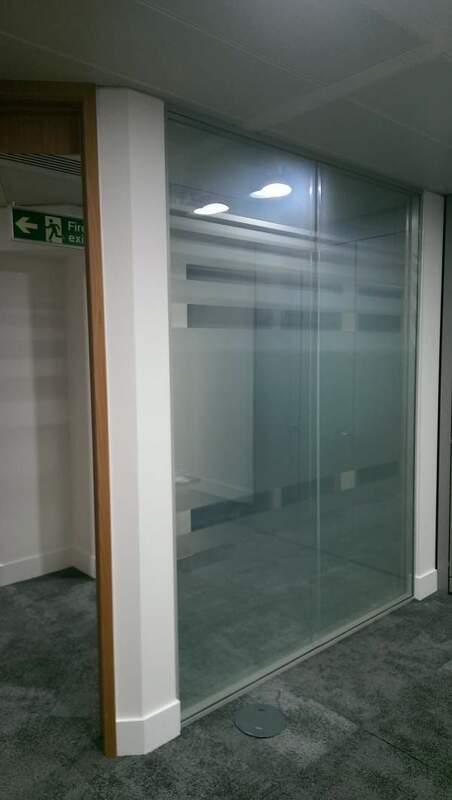 When our client requested us to take down the inner panes of two double glazed internal partitions on two offices on the 18th floor at Tower 42, London and replace with our incredible toughened electric I-GLASS we were up for the challenge! 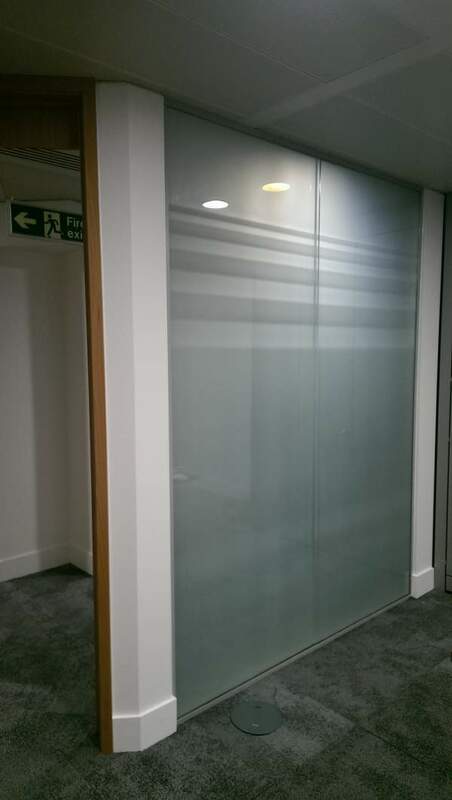 With our fast 4 week lead time we manufactured the glass ready for install. 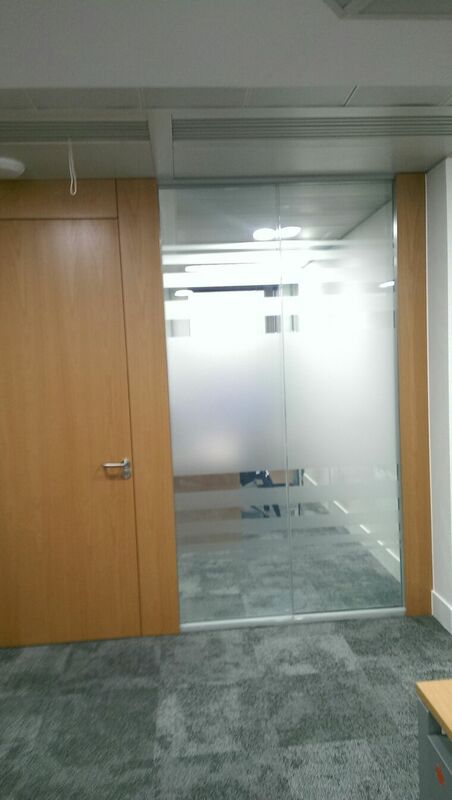 As you can see the existing glass had frosted stripes across which make the appearance even more dynamic. Our engineers had to work through the night due to constraints on site and the lift usage made things even more tricky. 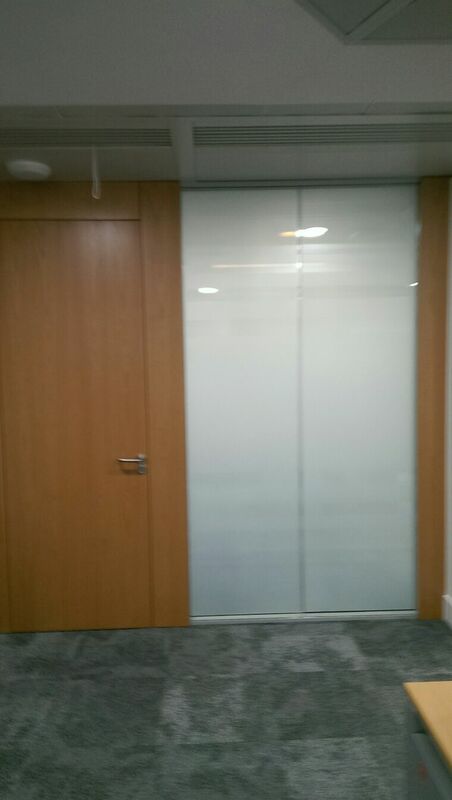 The whole team came together to provide a stunning office space for the clients.